Coronal loops are plasma-filled “tubes” that arc upwards from the Sun’s surface and reconnect at both ends. They often surround upwellings of magnetic energy that rise from deep within the Sun and push aside the extremely hot material at the surface, exposing the relatively cooler region beneath. This cooler, visibly “dark” area is what’s referred to as a sunspot. Oh….and how big is the feature seen here? While I’m not exactly sure of its precise size it’s easily many times the size of our planet. Perhaps ten or twenty Earths could fit within the loops. Big, big stuff. 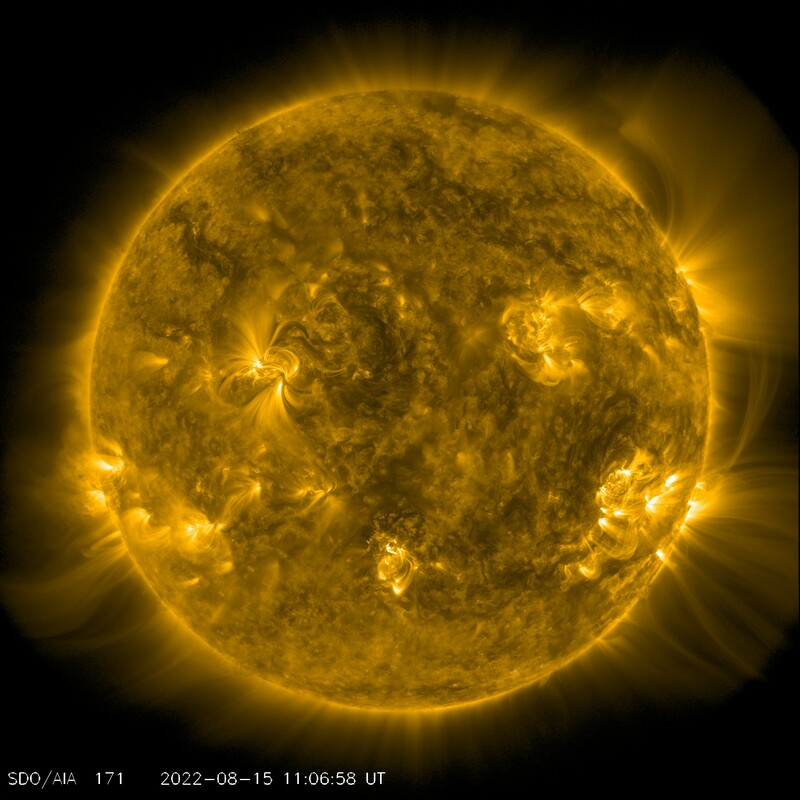 SDO is able to image the Sun in high-definition and at many different wavelengths of light (and often, too…the Atmospheric Imaging Assembly, or AIA, takes an image every ten seconds!) allowing scientists to study the complex activity of the Sun’s surface and atmosphere in a way never before possible. Their goal is to better understand the star that dominates our solar system and how its behavior affects our world. This is a jaw-dropping image. Another jaw-dropping image.